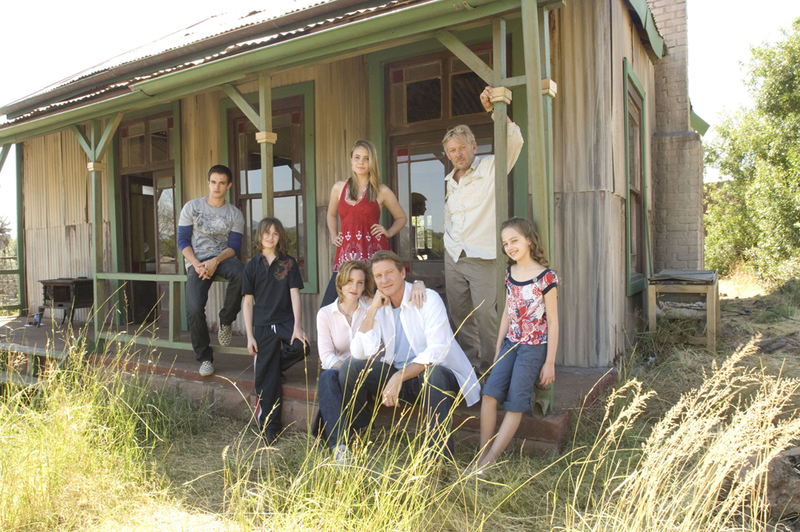 Katie Clarke (Leah Pipes, "Clubhouse") may never forgive her veterinarian father, Danny (D.W. Moffett, "For Your Love") for dragging their entire blended family out of New York City to spend a year living in a broken-down lodge called The Blue Antelope on a game reserve deep inside South Africa. In fact, the one area of agreement among Katie, her 11-year-old brother Chase (K'sun Ray, "Smith"), their rebellious teenage step-brother Jesse (Andrew St. John, "General Hospital") and 7-year-old step-sister Mia (Mary Matilyn Mouser, "Eloise"), is that Danny has lost his mind. For Danny and his second wife, Jo (Stephanie Niznik, "Everwood"), however, the reasons for the move are very clear. Once they married and brought their children together under one roof, it soon became obvious that the kids had little in common and the family was drifting apart. In New York, Katie was a good student with close friends and a serious boyfriend. Mature beyond her years, Katie took on even more adult responsibilities when her mother died, helping her younger brother Chase deal with the loss. Jo's children had to deal with their parents' divorce after their father went to prison for a white-collar crime. Jesse reacted by cutting school, rebelling against every rule and resenting his mother's remarriage, while little Mia comforted herself with her obsession with the New York Mets. While they worried about the family, Danny and Jo had their own demanding careers to deal with. Jo was a sought-after divorce attorney who worked long hours, while Danny's skills as a vet made him a favorite with wealthy New Yorkers and their pampered, overweight pets. When Danny learned of the urgent need for vets in South Africa, he saw the opportunity for a fresh start and a chance to change all their lives for the better. Once the family arrives in South Africa, Danny realizes his motivations go beyond his desire to keep his troubled family together while making a difference in the lives of the people and animals of this amazing place. His deceased first wife Claire grew up at The Blue Antelope, and the lodge is still home to her reclusive father Art (David Butler). The Blue Antelope was once a thriving safari business, but after the loss of his daughter, Art let the lodge slip into disrepair. Now that Danny has arrived with Art's grandchildren and a new family, Art may finally find a reason to get his life back on track. The adjustment to this strange land is difficult for Jo and the children, but not for Danny. He's instantly at home working with the locals to vaccinate their cattle, and using his skills to heal wounded wild animals as well - in their first few days in South Africa, the family encounters an injured lioness, a lost cub and a gentle giraffe. Katie and Jesse spend the first days in Africa resenting the upheaval of their lives and feeling completely out of place. Things begin to change when they meet a few of the locals, including a handsome and somewhat reckless young Brit, Oliver Banks (newcomer Calvin Goldspink), and Tumelo (newcomer Atandwa Kani), who dreams of becoming a veterinarian, against the wishes of his doctor father. Katie is intrigued by both boys - one British and one South African - and by their knowledge of local customs and culture. Meanwhile, Jesse can't help but notice Oliver's sultry twin sister Emily (newcomer Tiffany Mulheron), as well a beautiful, mysterious young woman named Mbali (casting TBD), a singer/bar tender at a local hangout called Ant's Hill. While they are definitely strangers in a strange land with a lot to learn about their new home, Katie, Jesse and the rest of the family are nevertheless beginning to love the breathtaking vistas of the bush country, the wild animals and the vibrant culture enveloping them. A year in this strange but beautiful place might not be so bad after all. 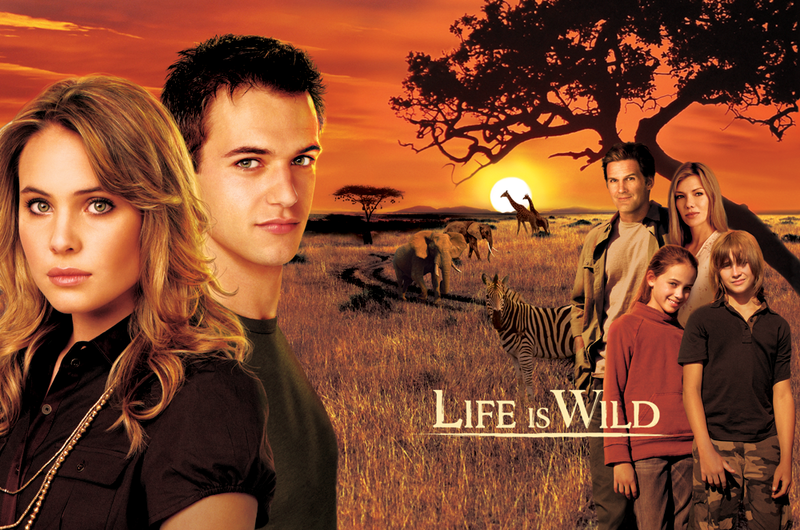 "Life is Wild" is a production of CBS Paramount Network Television Inc., Warner Bros. Television and Company Pictures, an All 3 Media Company, with executive producers Michael Rauch ("Love Monkey," "Beautiful People"), Charlie Pattinson ("Wild at Heart," "Shameless") and George Faber ("Wild at Heart," "Skins"), and co-executive producers Sue Tenney ("7th Heaven"), Dana Baratta ("Providence") and Jim Sadwith ("Elvis," "Crackers"). Life Is Wild is a trademark and copyright of CBS Paramount Network Television Inc., Warner Bros. Television and Company Pictures.